Green Party! Please, make this soup. It might sound a little strange (maybe stranger when you read the recipe), but make it! You’ll be so glad you did. Try this hearty, protein-rich soup that is sure to tickle and satisfy! Heat the oil and over low heat saute the onions, garlic and some serrano chili. Sauté until soft, about three minutes. Add the ground coriander, stir, inhale the gorgeousness, and then add the quinoa. Stir and toast quinoa for a bit. Cover with chicken stock and cook until the quinoa is tender. It will absorb a lot of broth, so plan on adding more broth or water to get the consistency you like. Taste. Play with salt, lime, and serrano until the balance is bright and just perfect for you. 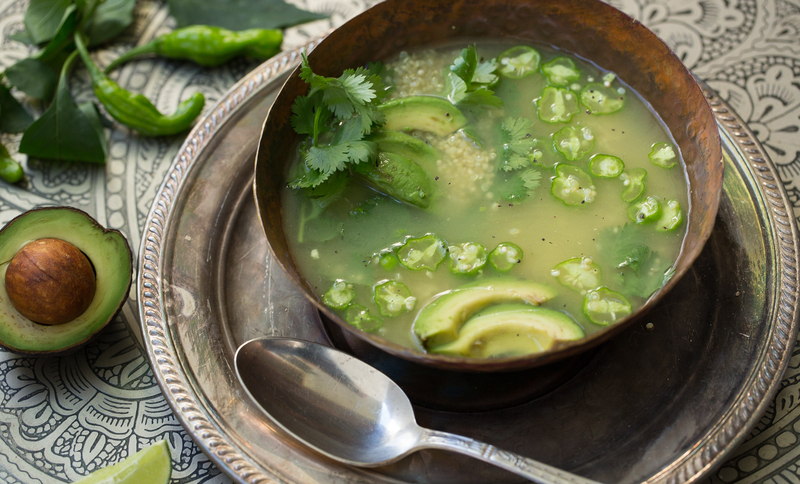 Add the avocado and cilantro and enjoy this lovely, healthy soup! 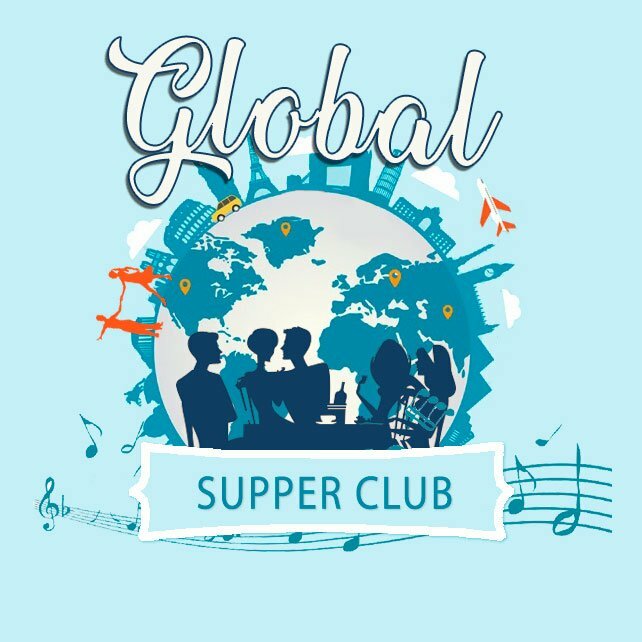 Give the Green light to our next Global Supper Club: Persian New Year and the 1001 Nights. Sign up for West LA here!